The TakeAway: The Africa Sustainable Investment Forum adds a new chapter to the history of using finance for social progress that started in South Africa. Most people think the US-based divestment movement toppled apartheid in South Africa. The reality is more complex, as home-grown efforts in South Africa played a much bigger role than many people realize. I witnessed this influence on a trip to apartheid South Africa in October 1987 with peace entrepreneur Padraig O’Malley to interview almost two dozen labor leaders—such as Jay Naidoo, then president of the Congress of South African Trade Unions (COSATU). Supported by The Ford Foundation, the research goal was to identify how economic sanctions might help expand, rather than reduce, economic justice for victims of apartheid. One idea under quiet review: a “National Workers Trust” that linked corporate disinvestment to worker economic power. Eventually, a broad mix of actions – including selective purchasing by US states and cities, the withdrawal of Mobil and GM in 1988, and international oil sanctions that imposed a $2-3 billion tax on a $100 billion economy – combined to topple the apartheid regime. 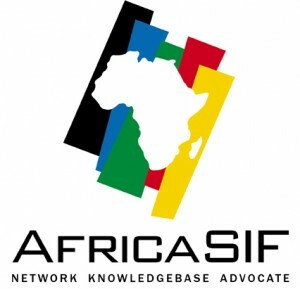 AfricaSIF’s mission is to engage Africa’s other 53 countries and territories in sustainable investing practices. According to AfricaSIF, there now are more than 500 listed companies across 19 different stock exchanges throughout the continent (the world’s second largest). In the last 10 years, private equity firms headquartered in Africa have raised over $10 billion in aggregate capital. Meanwhile, South Africa has taken the lead in sustainable investing practices, such as mandating integrated reporting and XBRL tagging. The merits of sustainability considerations will increase as the Africa’s wealth of natural resources become a more attractive investment target. This Thursday, September 2nd, AfricaSIF will celebrate its second official launch in Cape Town, followed by similar events in Lagos, Nairobi, Cairo, Geneva, London, New York, and Boston. The global road show leads back to Cape Town this December 1st and 2nd, for the first annual “ESGAfrica” event designed in partnership with Responsible Investor. America, pay heed to South Africa: Sustainability is the way forward. This entry was posted in Corporate Sustainability, Sustainable Investing and tagged AfricaSIF, apartheid, Congress of South African Trade Unions (COSATU), Development Bank of South Africa, economic sanctions, FIFA World Cup 2010, Ford Foundation, Global Alliance for Improved Nutrition (GAIN), Graham Sinclair, integrated reporting, Jay Naidoo, Johannesburg Stock Exchange, Padraig O'Malley, Responsible Investor, SinCo, South Africa, sustainability, XBRL. Bookmark the permalink. 3 Responses to Say Hello to AfricaSIF! It might interest you and your readers.